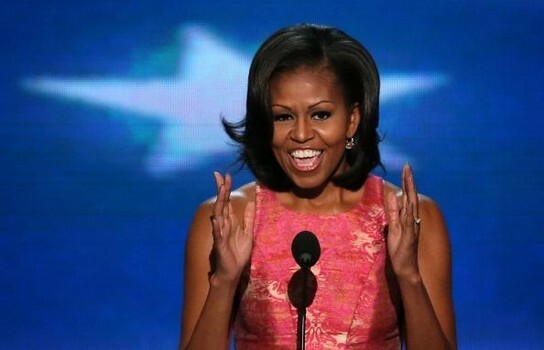 Here is the complete video of the game changing speech delivered by US First Lady Michelle Obama at the 2012 Democratic National Convention on Tuesday, September 4, 2012. The historic speech effectively ties the lives of the Obamas to the millions of voters who are still struggling after the near collapse of the US economy four years ago. Described by campaign officials as the "most popular political figure in America," Michelle Obama empowered Americans to once again stand together and rally behind the man that has been moving the country forward. "... if women could be dragged to jail for seeking the vote…if a generation could defeat a depression, and define greatness for all time… if a young preacher could lift us to the mountaintop with his righteous dream… and if proud Americans can be who they are and boldly stand at the altar with who they love…then surely, surely we can give everyone in this country a fair chance at that great American Dream. That is what has made my story, and Barack’s story, and so many other American stories possible." In contrast to this, here is the speech delivered by Ann Romney - wife to Republican presidential candidate, Mitt Romney. Looking every bit like a Stepford Wife and a homecoming queen rolled into one, Romney looked like she was ready to star in the mommy version of Bring it On.